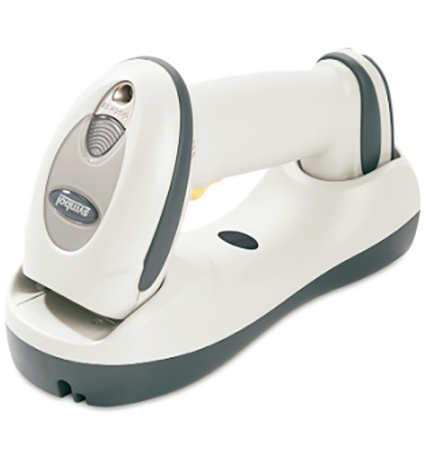 This Cordless Handheld bar code reader offers superior scanning performance, ease-of-use and durability for 1D bar code scanning applications. This Cordless Handheld Bar Code Reader is Bluetooth enabled offering secure transmission of data over the wireless network. The innovative multi-line rastering scan pattern eliminates the need for exact aim and positioning for simple point-and-shoot scanning, and enables the capture of even the smallest stacked and poorly printed bar codes.